Choosing the wrong candidate is expensive for the employee as well as the company. Using the right interview technique is one of the best ways to ensure a successful recruitment. 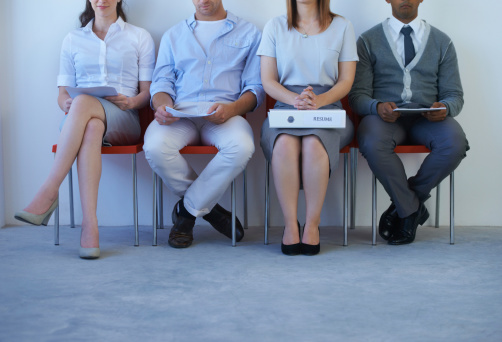 While there are many different types of interviewing, there is concrete evidence to suggest that certain strategies exist to improve your chances of selecting the right candidate. Interviewing is not easy. Without being aware of the issue most interviewers rely on their gut instincts when interviewing. Thoughts like; the candidate’s handshake was too hard/weak, they had to think for a few seconds too long before answering the question etc. become a significant parameter in the selection process. This makes it impossible not to have a personal bias in the engagement. Competency Based Interviewing takes the gut instinct out of the equation. Instead you look at each candidate objectively by asking the candidate for concrete examples. Avoiding psychology terminology and getting right down to the bottom line is what is key here. Bad recruitment has impacts on several levels in the company. The time spend, and high employee turnover hurts a company’s bottom line. Experts estimate it costs upwards of twice an employee’s salary to find and train a replacement. But money isn’t the biggest problem when recruiting the wrong people, culture is. A high employee turnover can damage morale among remaining employees and create anxiety, which can be devastating. Stability is extremely important. With a Competency Based Interview technique, it is easier to find the right personnel for your business. By asking standardized questions based on a competency framework it is much easier to find out if the one you are interviewing really fits into the job profile. It is crucial to ask for examples from past experience, since science suggests that what we did before we will most probably do again. Even more important for a good interview is to define a professional job profile. It is important to define what is really important for your company and develop an objective job profile, based on clear goals and concrete work tasks. Only then can you know what competency based questions to ask. The training in Competency Based Interview runs over 1 day. A Competency Based Interview is fundamentally when an interviewer asks standardized questions based on a competency framework with predefined behaviors. The major purpose with the interview technique is to be able to judge the interviewee objectively by asking for specific examples. Thus, we gather evidence to support candidate experience regarding work specific behaviors. It is usually said that a Competency Based Interview along with a Cognitive test is the best way to risk assess candidates. In addition, it is very cost effective.